All of the BIM work on postural stability and efficient movement certainly applies to teaching Aikido. 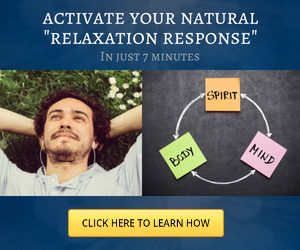 In addition, the somatic self-regulation that I teach as part of conflict resolution training also applies. In this section, I will focus on how one particular body awareness concept that is part of Being In Movement can improve Aikido training. In my Aikido practice and teaching I emphasize aligning the body vertically. This focus came to me early in my practice, though it wasn't something that was emphasized or even taught. For me, it was a consequence of the meditations I was doing on symmetry and expansiveness of awareness. If your posture leans in one direction or another, your awareness leans as well. The only body placement that allows equal commitment to all directions in the environment is the vertical postural line. If in Aikido practice you are afraid of an attack, you will naturally lean away from it. If you become antagonistic and resist the attack, you will naturally lean toward it. If you become over-invested in a throw, you will lean into it. In all these cases, you will lose your uprightness. Paying attention to staying vertical is a way of reminding yourself to maintain mental balance and equanimity. In that sense, paying attention to holding your body vertical as you execute Aikido techniques transforms the combat practice into a meditation. However, maintaining the vertical line is more than just a spiritual notion. It creates more effective combat technique in three ways: it improves power delivery, prevents openings for counterattacks, and improves readiness to deal with multiple attacks. Let us examine two Aikido techniques to see how this works. Let's start with katatori nikkyo. The first photograph shows a common way of doing the technique. Many people put on the lock with a distinct forward bend. However, in that way of doing the technique, much of the power comes from use of the shoulders and upper torso. In this instance, the power I could exert with my shoulders wasn't even enough to convince my partner to go down. Keeping the body aligned correctly, as shown in the second photo, allows you to derive the power of the nikkyo from the movement of the pelvis, which is of course accomplished through the use of the legs and hips. There is a forward movement to transfer weight to the front leg and thus the nikkyo. In addition, there is a forward rotation of the pelvis, which inclines the spinal column forward though without bending it. This puts power into the nikkyo. Doing the nikkyo from the hips is much stronger and allows greater control of uke with less effort. Notice that the posture in the second photo is very similar to the posture in the third photograph of the correct way of hoeing. A second problem with leaning forward is that it leaves you open to a counterattack. When you lean, the force of the technique is delivered an arc through the shoulders, and if uke is alert, it is simple to counter the nikkyo. By sliding in under the arc, pulling forward and down on the nikkyo, and blocking nage's legs, uke can pitch nage over him for a throw (photos 3-4). 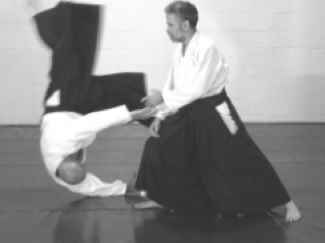 When the nikkyo is done with upright posture, the power of the nikkyo goes all the way down to the ground, and there is no gap under which uke can slide to create a counterattack. I have spoken of the incorrect nikkyo in purely physical terms, but of course there is more to it than that. What leads us to overuse the shoulders and bend forward? Overcommitment and aggression. 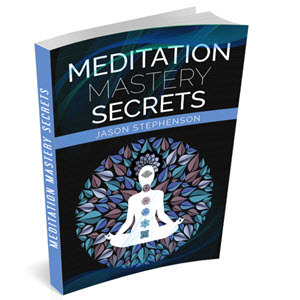 The more upright posture is based on equanimity, love, and expansive awareness. As another example, let's consider aikatatetori kokyunage. In the version shown here, my right hand was grasped by uke with his right hand. I spun around and applied an arm bar for the throw. Many people execute this throw also with a pronounced forward bend (photo #5). 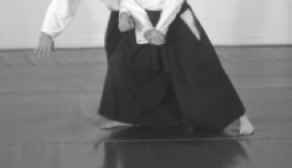 And as in the nikkyo, the throw can be done with more power and better balance by moving from the legs and hips and keeping the body upright (Photos #6-7). Notice that the power that is applied to uke's arm comes from forward motion of my pelvis. Since uke is joined to me around the level of my hips, there is no reason to bend my shoulders forward. In this technique, leaning forward with the shoulders does not leave nage open to a counterattack by the person being thrown, but it does require that nage perform a recovery moment to regain upright posture. Consider the use of this technique during a group attack, in which attacks come quickly and continuously. If nage is bent forward at the moment of the throw, in order to get ready for dealing with the next attack, it will be necessary to bring the torso back to an upright position. During that upward movement, nage is not ready for the attack. When nage is bent over, she or he would not be able to see clearly what the attackers are doing or be able to move freely to blend with whatever attack comes. However, if the throw is executed with the body upright, nage will be posturally ready to see the next attack and move with it. 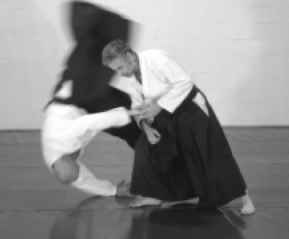 The same considerations of spiritual balance and combative readiness apply in doing any other Aikido techniques. There are a lot more elements of BIM that I use in enhancing my Aikido practice and teaching, and paying specific attention to body awareness as a foundation for Aikido training is very productive. 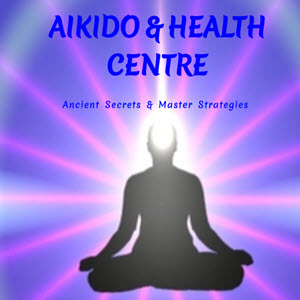 For readers who would like more information, on my website in the Aikido section, I have a number of articles on body awareness and Aikido practice. In addition, I am working on a book specifically on this topic and hope to have it available in the near future.